The US Rep. Devin Nunes (R-CA) recently filed a lawsuit against Twitter, seeking $250 million in compensatory damages and $350,000 in punitive damages, reported CBN. In a complaint filed in Virginia state court, Nunes said the social media site was "guilty of "knowingly hosting and monetizing content that is clearly abusive, hateful and defamatory – providing both a voice and financial incentive to the defamers – thereby facilitating defamation on its platform." "Twitter is a machine," Nunes' personal attorney, Steven S. Biss, told Fox News. "It is a modern-day Tammany Hall. Congressman Nunes intends to hold Twitter fully accountable for its abusive behavior and misconduct." The suit also names political strategist Liz Mair and two other Twitter accounts — @DevinNunesMom and @DevinCow, according to The Washington Times. The @DevinNunesMom account was "a person who, with Twitter's consent, hijacked Nunes' name, falsely impersonated Nunes' mother, and created and maintained an account on Twitter (@DevinNunesMom) for the sole purpose of attacking, defaming, disparaging and demeaning Nunes," according to the complaint. "Twitter created and developed the content at issue in this case by transforming false accusations of criminal conduct, imputed wrongdoing, dishonesty and lack of integrity into a publicly available commodity used by unscrupulous political operatives and their donor/clients as a weapon," Nunes wrote in the suit. "Twitter did nothing to investigate or review the defamation that appeared in plain view on its platform. Twitter consciously allowed the defamation of Nunes to continue. 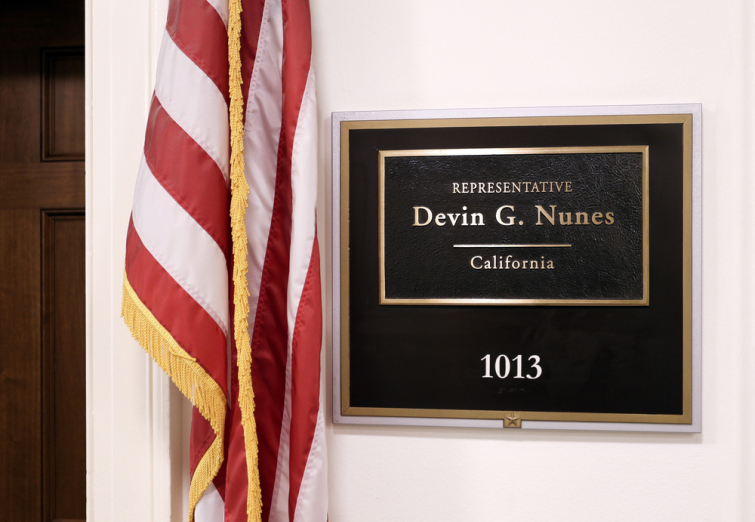 As part of its agenda to squelch Nunes' voice, cause him extreme pain and suffering, influence the 2018 Congressional election, and distract, intimidate and interfere with Nunes' investigation into corruption and Russian involvement in the 2016 Presidential Election, Twitter did absolutely nothing," Nunes' attorneys wrote. "The shadow-banning was intentional. It was calculated to interfere with and influence the federal election and interfere with Nunes' ongoing investigation as a member of the House Permanent Select Committee on Intelligence. Twitter's actions affected the election results," the lawsuit continued. The combination of the shadow-ban and Twitter's refusal to enforce its Terms and Rules in the face of clear and present abuse and hateful conduct caused Nunes to lose support amongst voters."